To care for our patients in a clean, neat, safe environment. 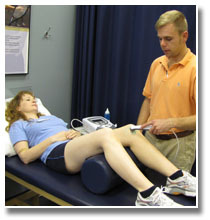 To use evidence-based, up-to-date treatment methods and equipment. To act in all circumstances with honesty and integrity. To do whatever it takes to demonstrate our commitment to the patients we serve and to their physicians who have entrusted us with their care. To lead and inspire our community and colleagues with an attitude of humility and service. To foster an environment of creativity and innovation by embracing change, pursuing continuing education opportunities and challenging ourselves to deliver exceptional service in all circumstances. Learn more About Us, Our Mission Statement, and Why Choose Upper Perk Physical Therapy.